Manufacturing is a very large field, from products like manufacturing of a small pencil to large airplane; everywhere painting plays a very important role. A good paint finish plays the most important role as first step for any products acceptance criteria. 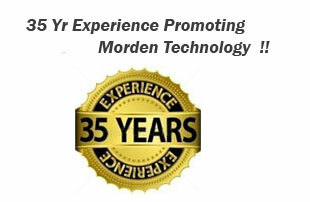 35 years of Autocoat experience in spray booth manufacturing field and understanding of different product mix sectors, interaction with other companies plays an important role in considering why Autocoat? 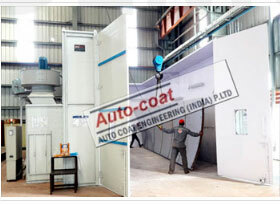 Autocoat Engineering has developed numerous dry spray booths, some of which are standardize and others are as per customer requirement of the customers. 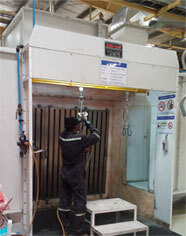 The word dry spray booth itself mentions that there is no involvement of water in the spray booth for any purpose, thus making it free from water. Autocoat categorizes 3 main areas where a dry paint booth happens to be a quick customer choice. Category 1 - Product Development - When a product is been newly developed lot of man hours and research & development is done on it . 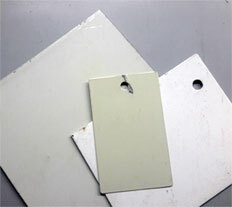 The sample jobs once mechanically & technically approved are now ready for painting. Since the sample quantities are very low dry type spray booth become a perfect choice. 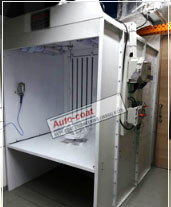 Autocoat dry booths models for sample part painting or development product painting are namely laboratory dry type spray booths & AELP dry paint booth models. Localy manufactured dry booths are often incapable of handling the complete waste spray dust as it is consists of only layer of filter arrangement in the extraction arrangement. But in our dry type paint booths extraction chamber consists of triple arrangement of filtering of paint dust particle. Compatibility with modern pollution laws is far superior to other locally designed dry booths. Production of product plays an important role while deciding whether to go for a batch dry filter spray booth or conveyorised painting with a dry booth.Autocoat low production models AELP dry paint booth can offer variety of standard models and customized filter booths. Autocoat dry paint booths work on the principle of resistance and not only paint arresting filters .Paint when applied by use of spray guns creates a paint fog atmosphere some which gets applied on the product to be painted , other waste paint dust is carried to the paint extraction chamber. Once the paint fumes enter the extraction zone, the mist is made to pass through a torturous path, so that the air caring paint loses its velocity there by dropping all the small micro paint particles on the resistance plates. 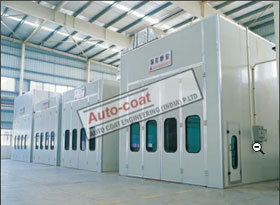 This is Autocoat very specialty design of tri filtration arrangement in dry type spray booths., due to such superior design our dry booths can work very well with continuous painting hassle free. Standard operating charts , tpm charts for periodic maintenance are been submitted to customer for easy maintenance activity. After the air is passed through the extraction zone it is now a low paint free air , now this air passes through the paint arresting filter zone , thereby making the air more clean and permissible to the environmental norms. The above mentioned is a brief summary of the working of a dry filter paint booth. Category 3 - Dry spray booth for Large products Previously in India spray booths & Paint booths were been used by only mass production sectors like namely Automobile, Automobile vendors, Home appliances etc. India has been a growing market for all kind of manufacturing fields now , after China as world top ranking manufacturing country , India takes the the second position. Now from manufacturing of Large luxury Bus , Long Windmill Blades & Generators , Large transformers , Locomotives are manufactured extensively in India. Due to International tie-ups and joint ventures appearance and aesthetics plays an important role in any kind of acceptance criteria, there by requirement of dry spray booth comes an essential part of the finishing industry. Autocoat designs, manufactures & exports lot of dry spray paint booths for all above sectors , we supplied dry booths to corporate companies namely Kirloskar Pneumatics for Painting of Compressors & Pipe Spools , Blue Star for Chillers , Sacmi Italian based company for tile manufacturing equipment , Abb for Transformers & many more . Our dry paint booths contain high performance centrifugal blowers with completely bolted design structures & panels. All duct are manufactured out of galvanized sheets to give better durability in monsoon weather. The paint arresting filter as installed in such a way that it takes minimum time to do the replacement of filter in the dry filter booth. The construction of the Metallic resistance (metal baffles) consists of clamps which can be easily turned and metal baffles can be removed, cleaned & relocated in its position. In our discussions & interactions with our customers we try and educate the customer for the right way of material handling facility in our dry type spray booth , so that rework activity can be avoided. Our other category of dry type booths are conveyorised dry painting setup , dust free dry paint booths , dry back booth for batch type painting etc. The basic working of the dry filter booth is same but the capacities of caring waste paint, blower capacity varies. We also manufacture paint booths with standard lighting and flame proof equipment, thereby increasing safety parameters of the dry booth. Our conveyorised dry type booths can be customized with infrared paint baking oven or convection paint curing oven, this increases production volumes & paint drying does not become bottle neck.